HIPS protects the system from unknown malwares and is heavily user dependent. 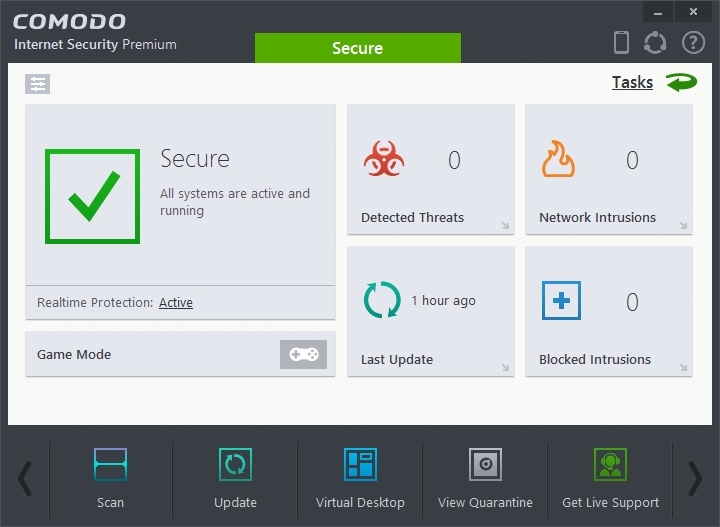 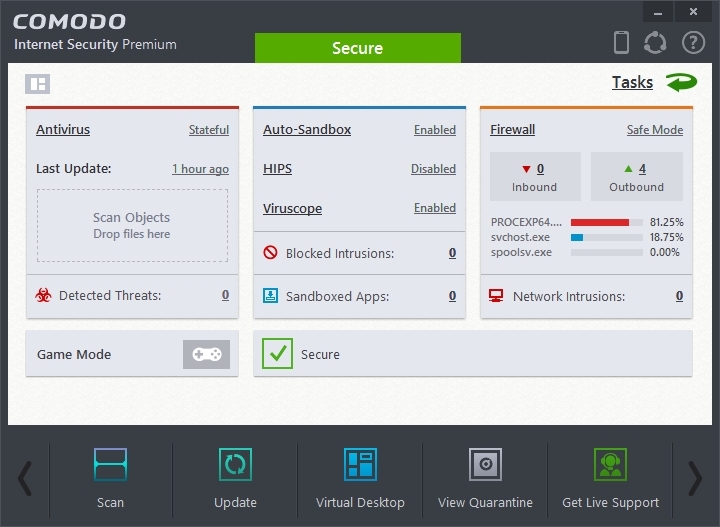 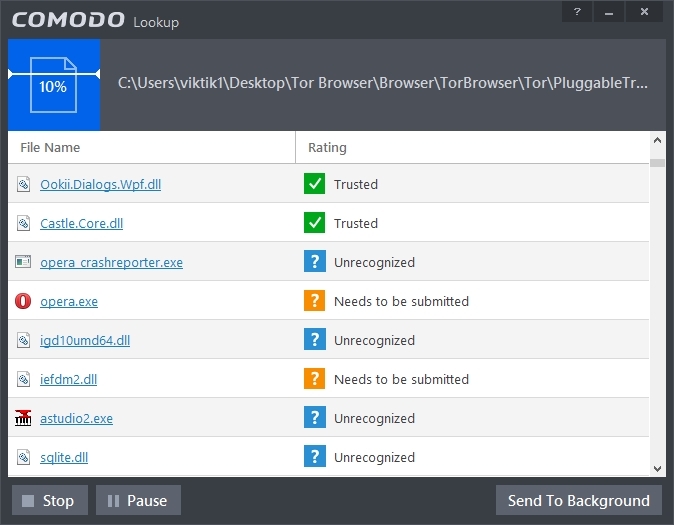 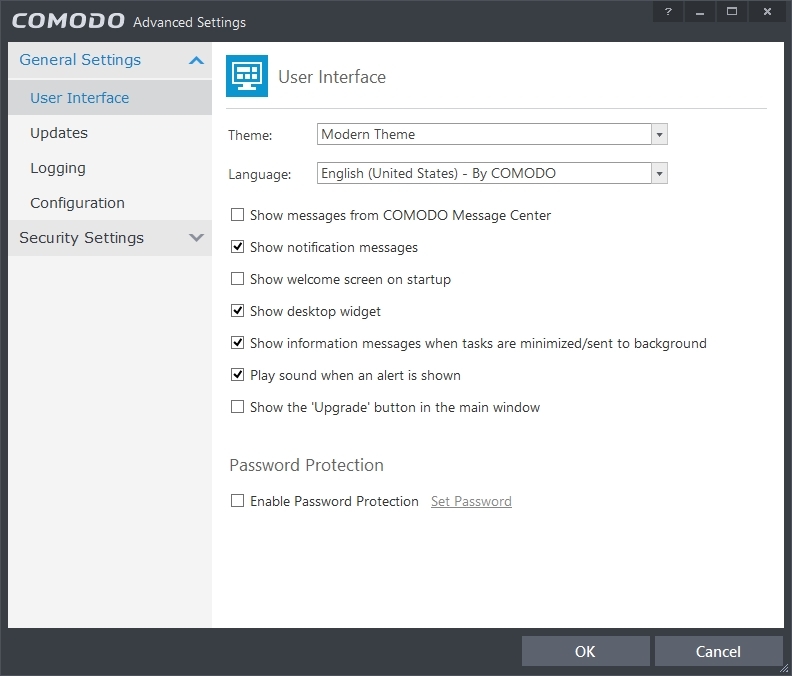 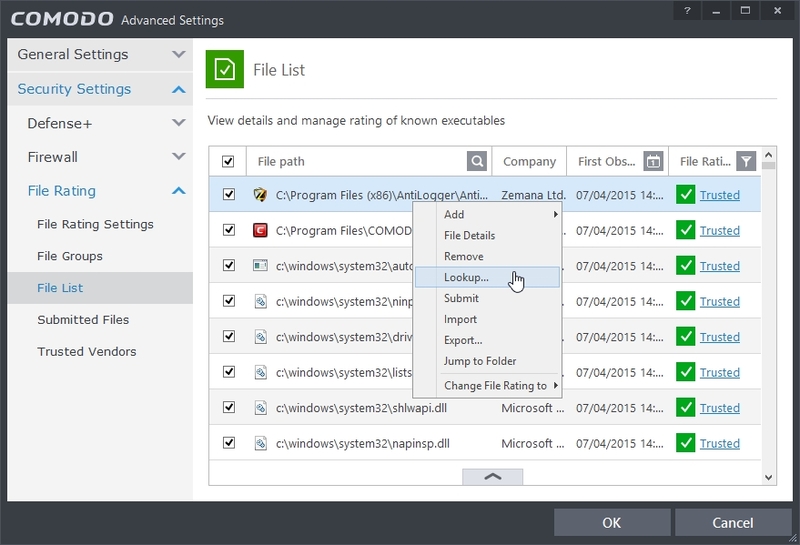 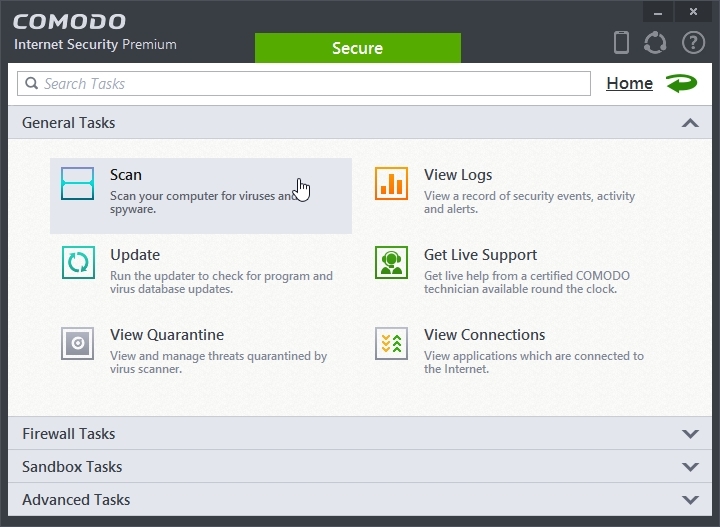 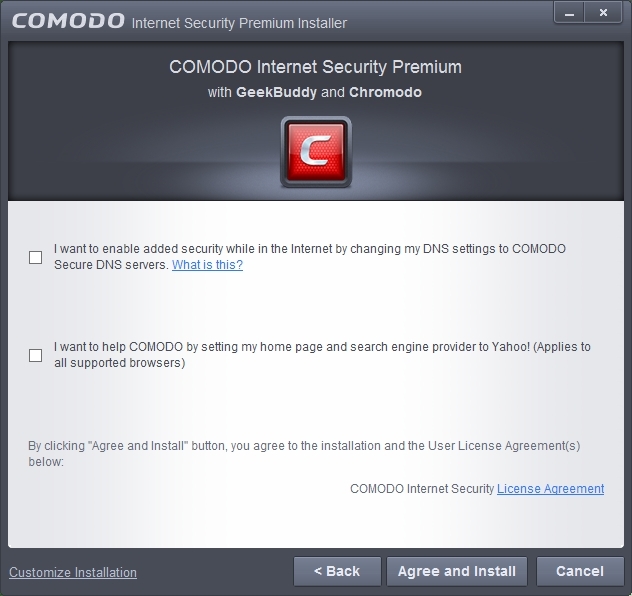 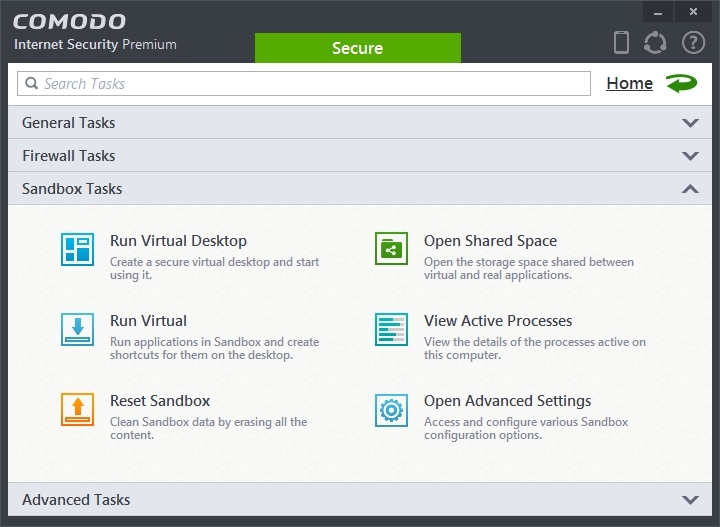 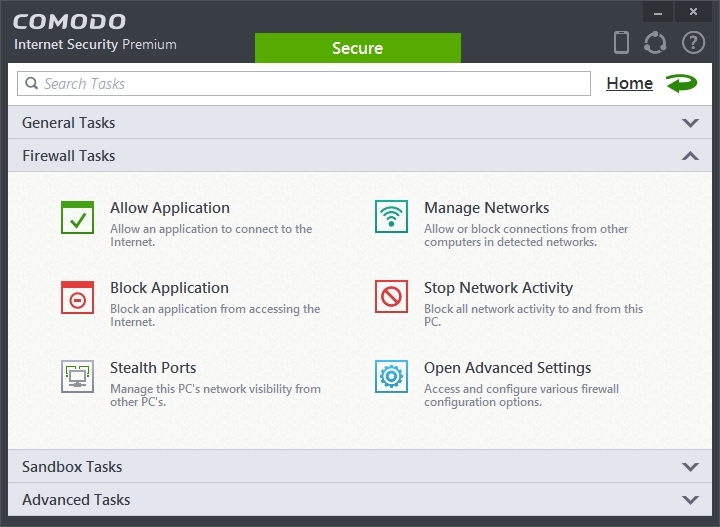 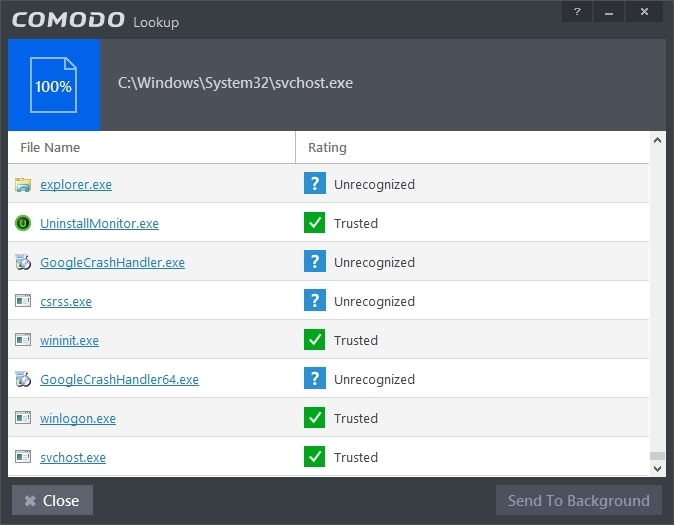 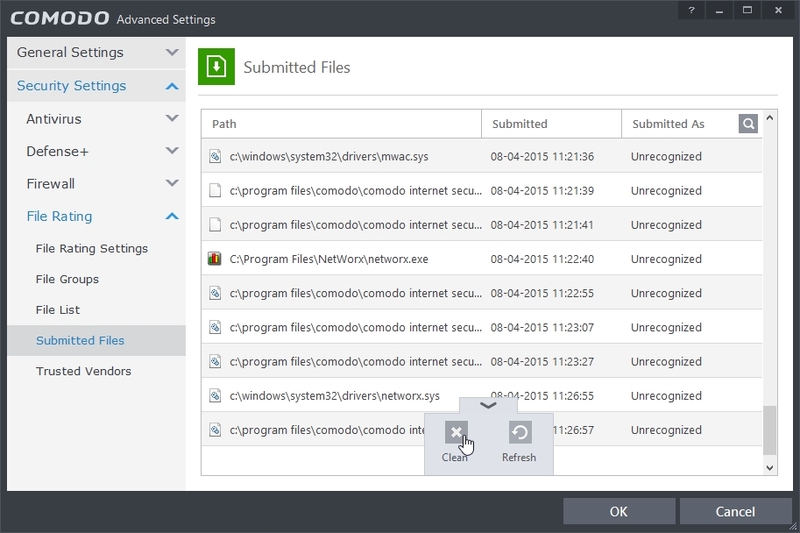 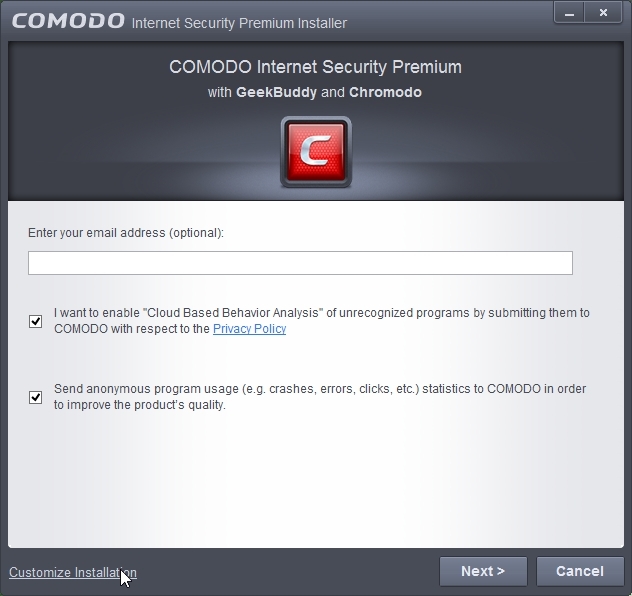 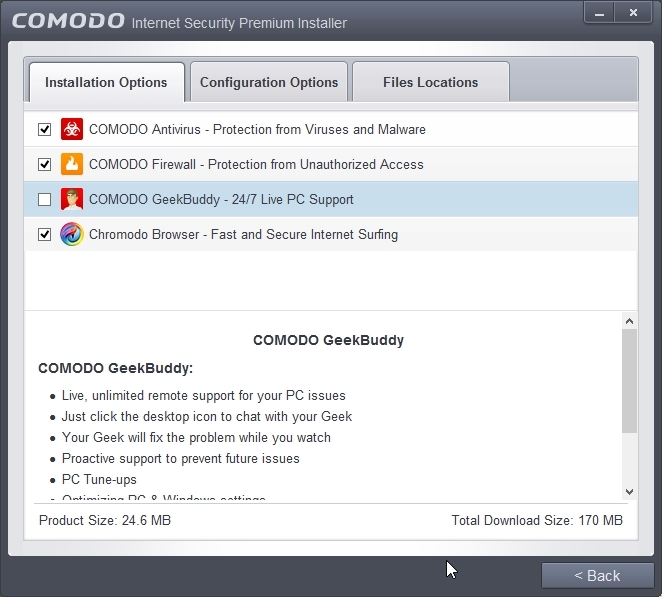 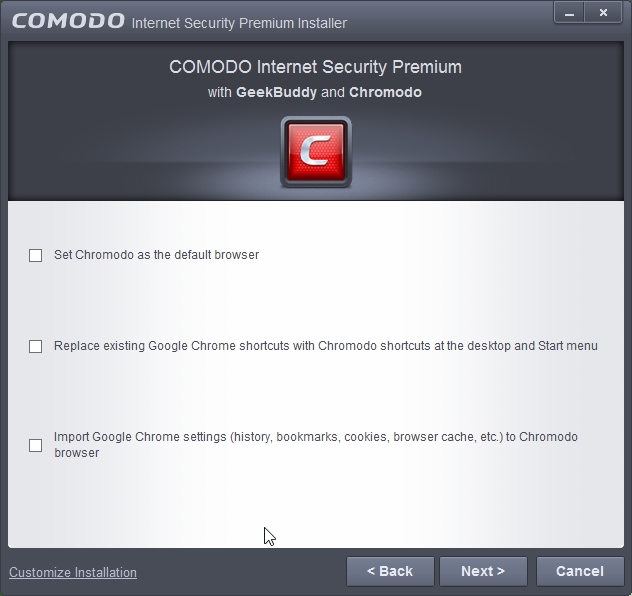 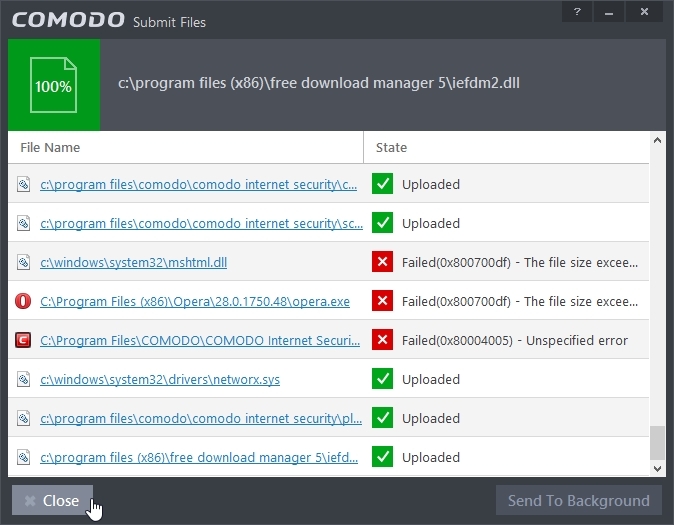 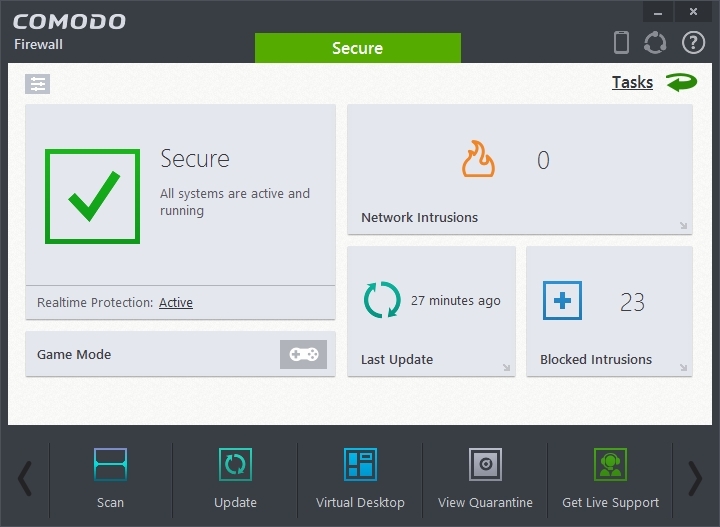 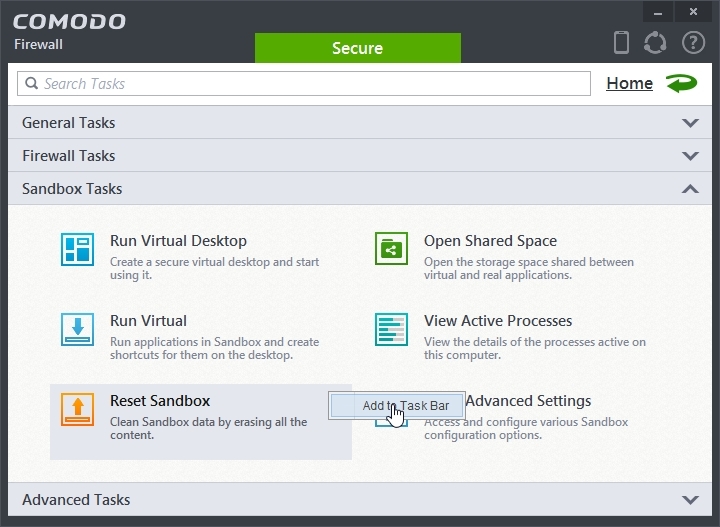 So Comodo is not for novice users. 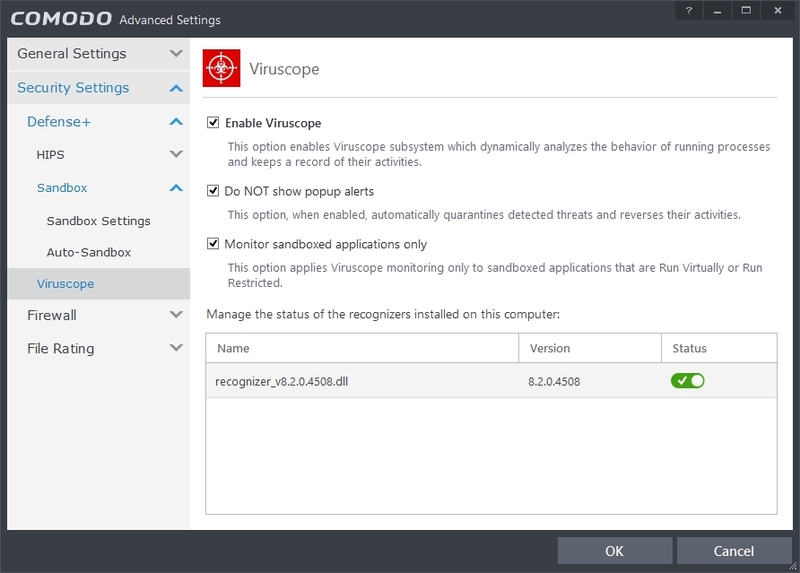 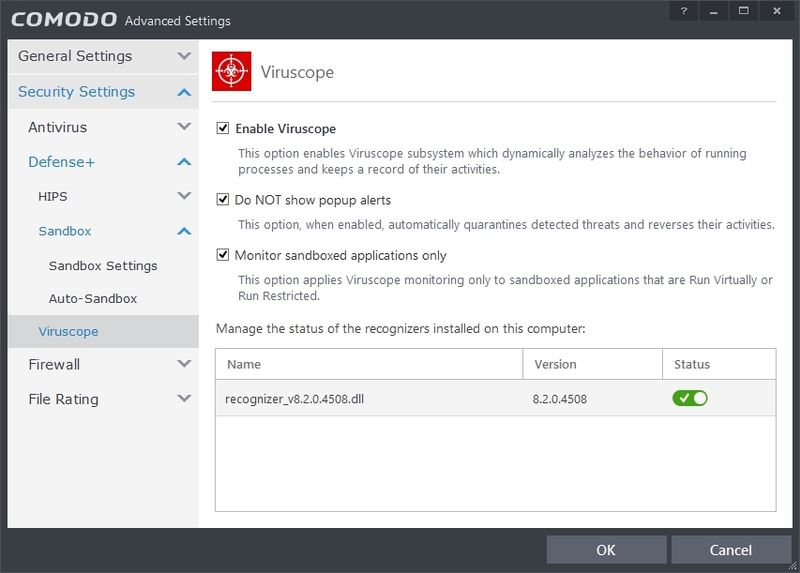 Viruscope monitors the activities of processes running on your computer and alerts you if they take actions that could potentially threaten your privacy and/or security. 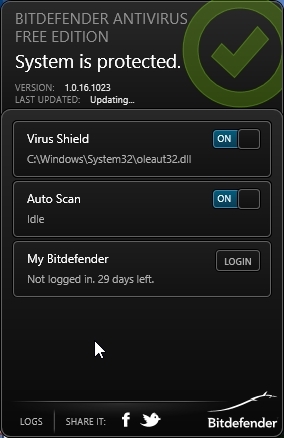 Apart from forming yet another layer of malware detection and prevention, the sub-system represents a valuable addition to the core process-monitoring functionality of the Defense+ by introducing the ability to reverse potentially undesirable actions of software without necessarily blocking the software entirely. 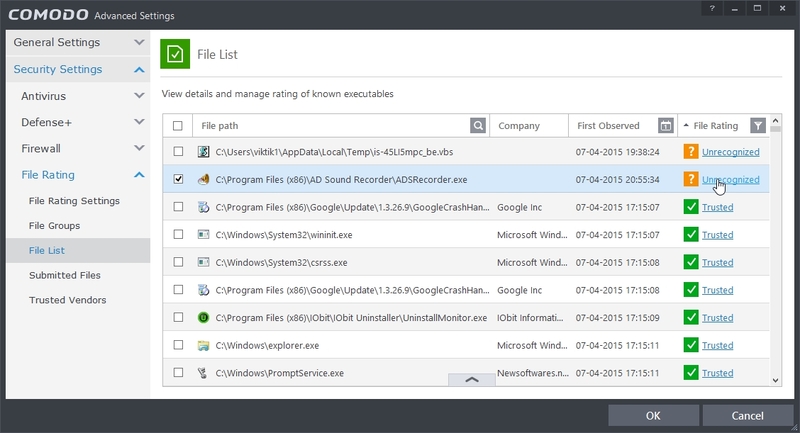 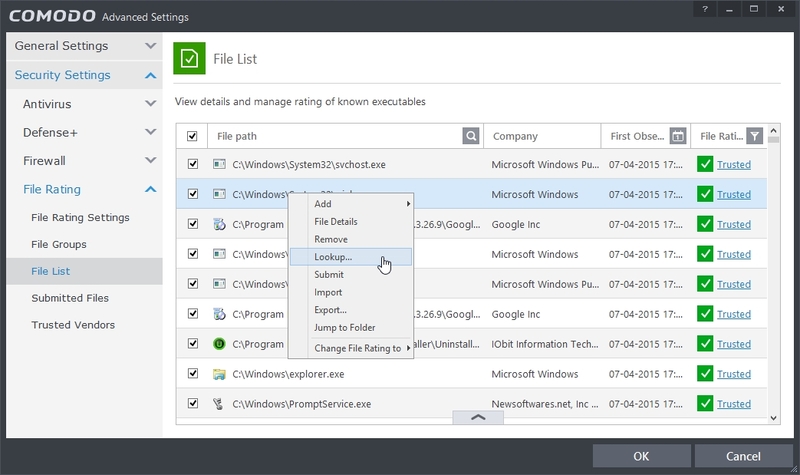 This feature can provide you with more granular control over otherwise legitimate software which requires certain actions to be implemented in order to run correctly. 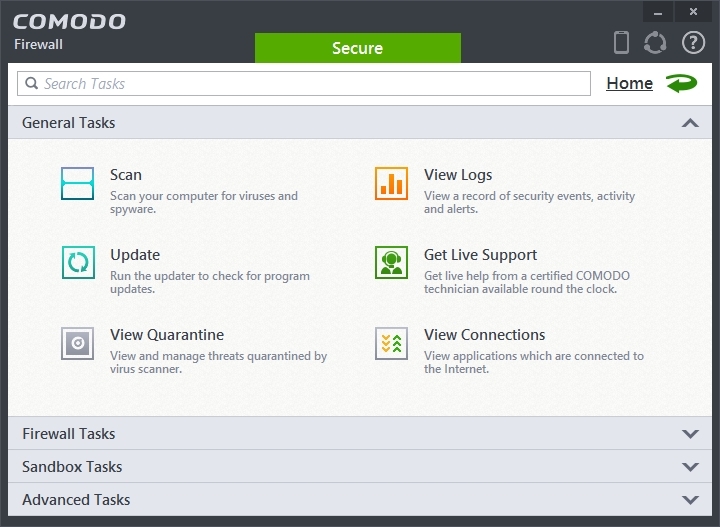 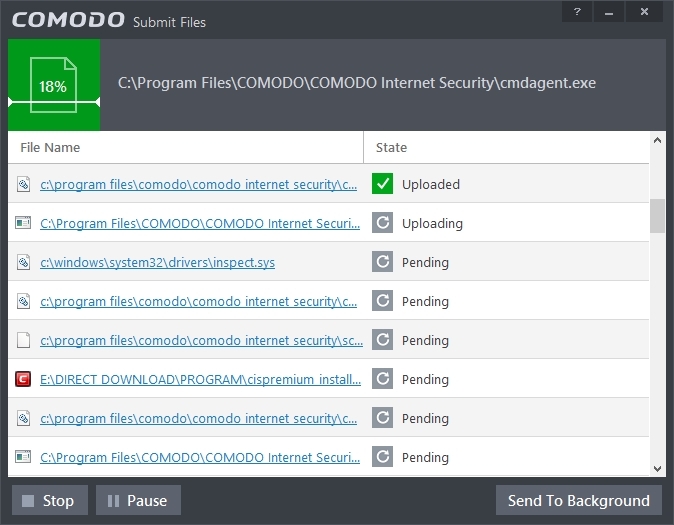 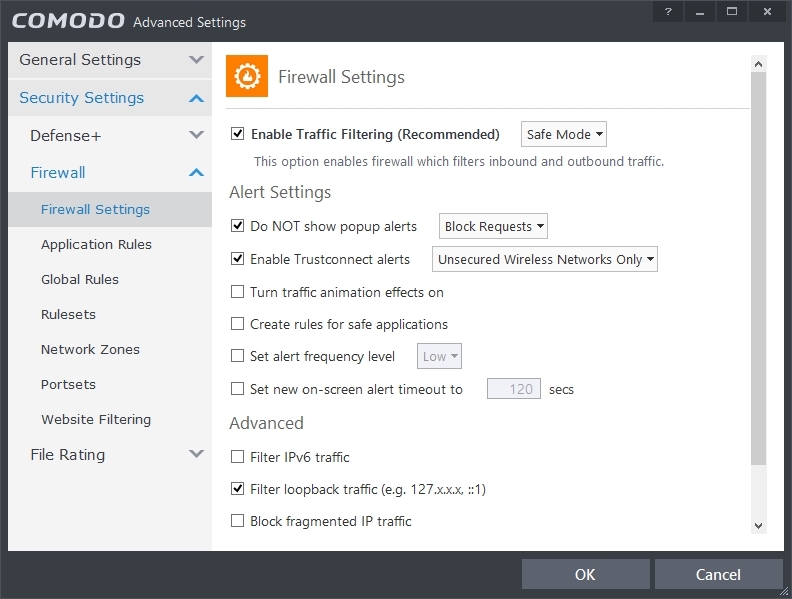 Comodo Internet Security 8 relieves you of the responsibility of deciding whether to block or allow untrusted files – it makes the decisions for you. 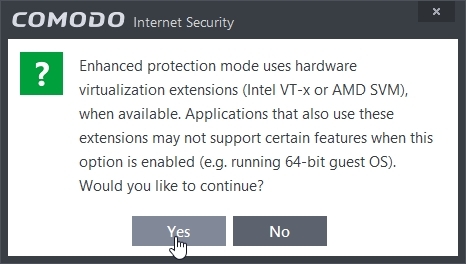 Game Mode suppresses operations that could interfere with a user’s gaming experience such as alerts, virus database updates or scheduled scans. 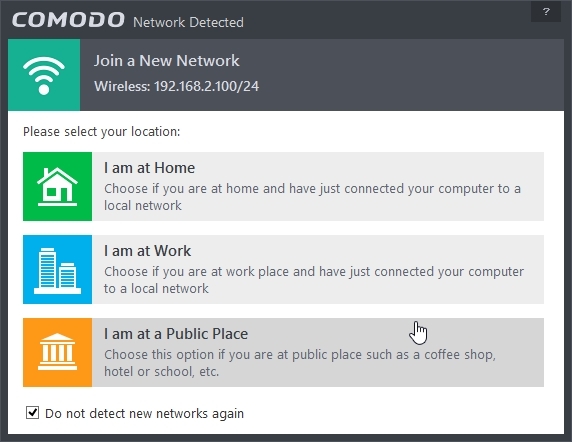 When asked to choose the location, select correct one. 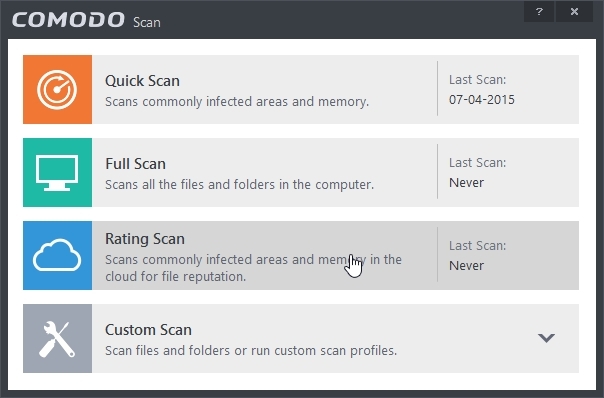 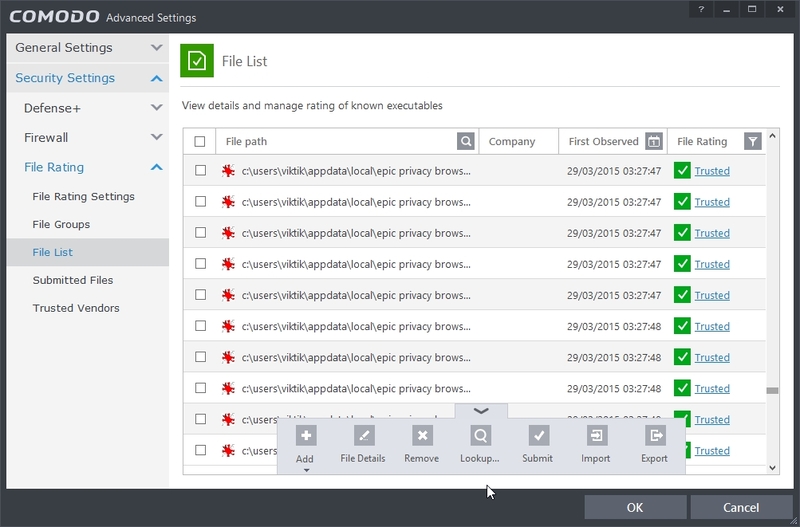 The ‘Rating Scan’ feature runs a cloud-based assessment on files on your computer to assess how trustworthy they are. Bad – the file is unsafe and may contain malicious code. 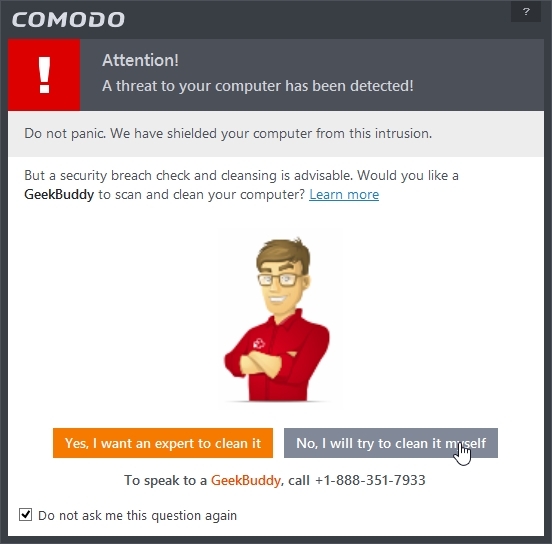 You will be presented with disinfection options for such files. 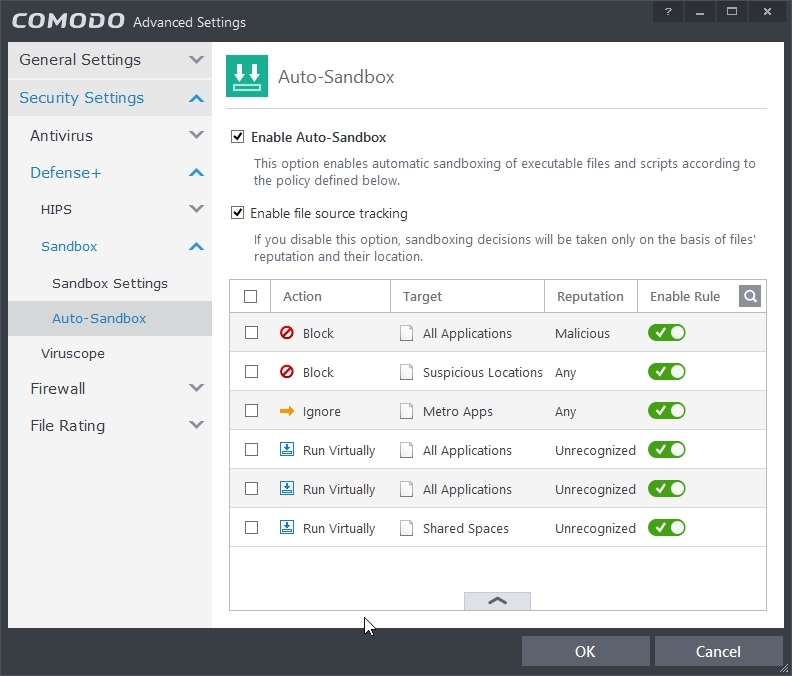 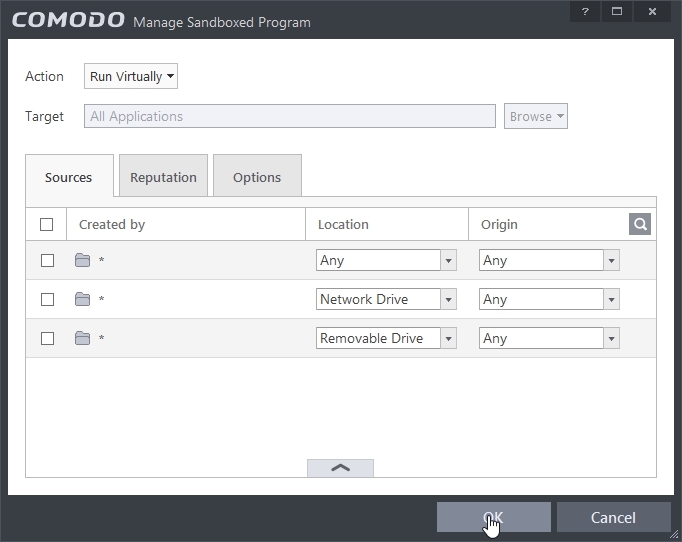 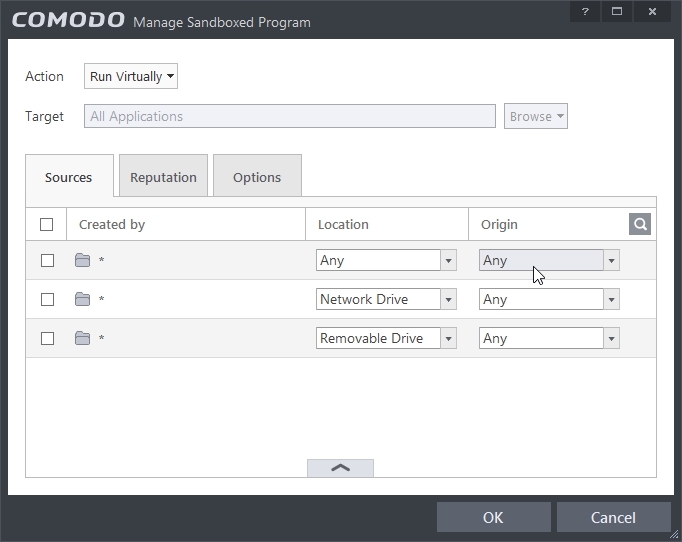 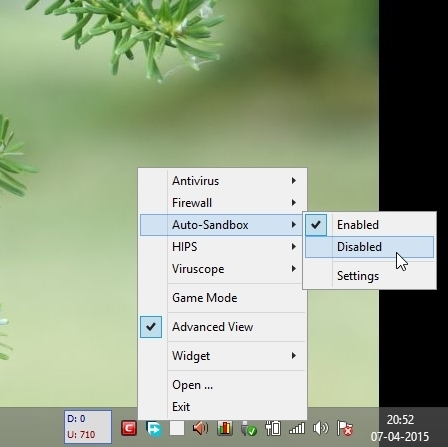 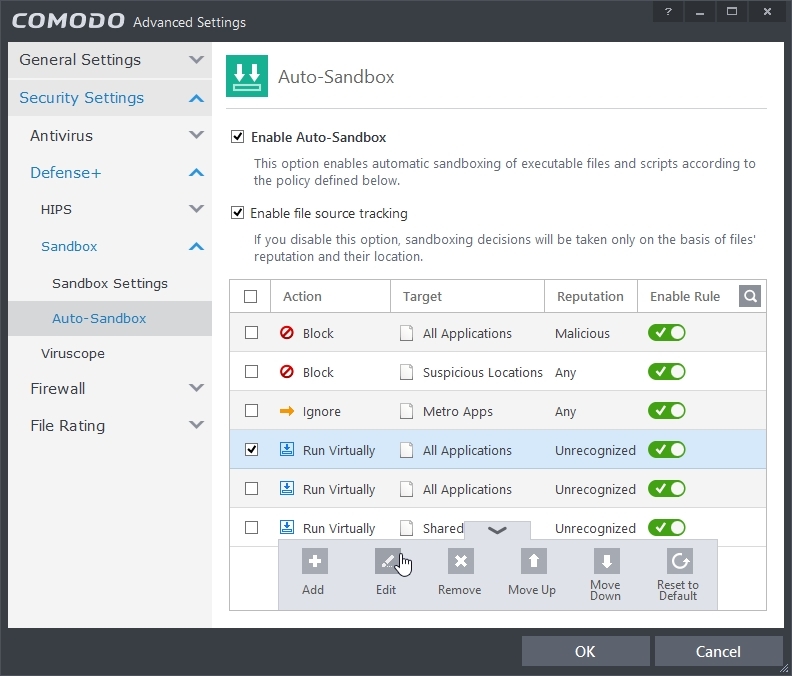 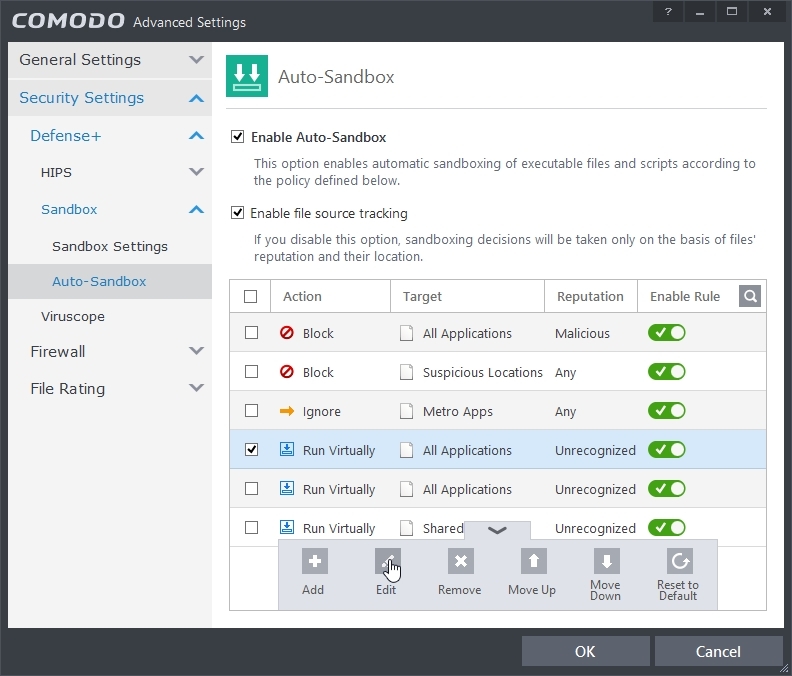 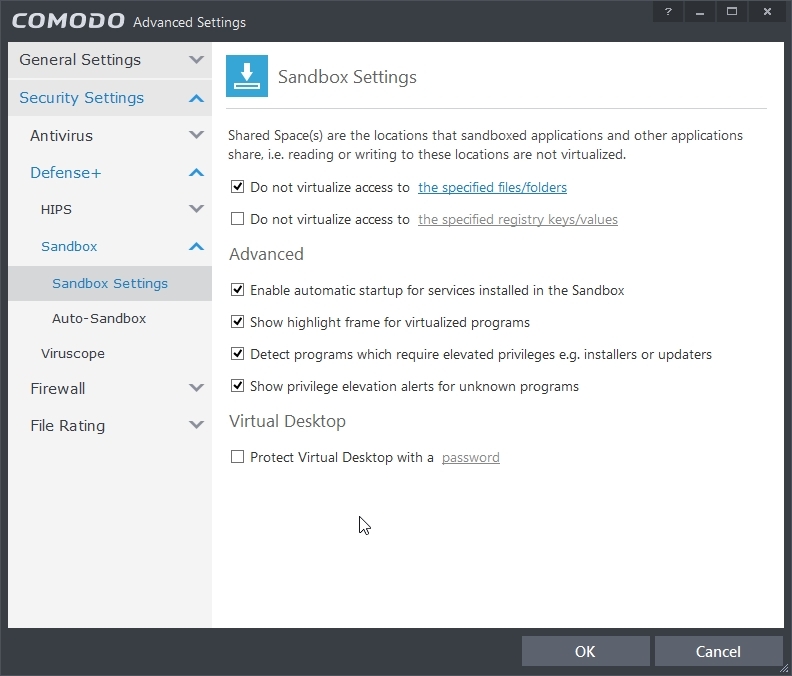 Since auto-sandboxing has been enabled, while installing some applications the installer application may get sandboxed. 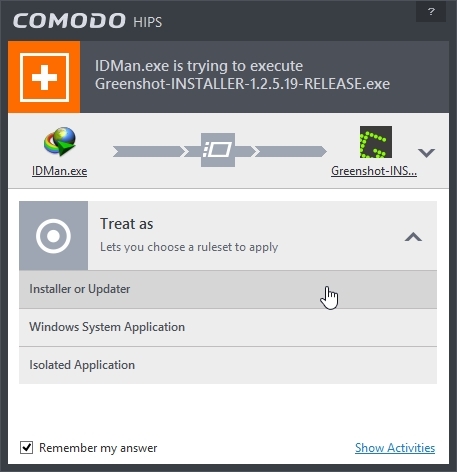 This will cause unsuccessful installation. 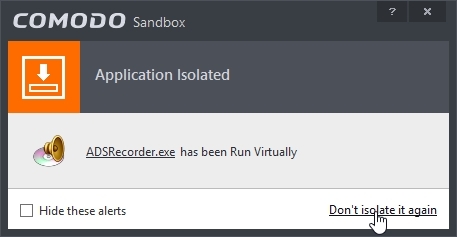 While trying to run unrecognized application user will get this message because the unrecognized application will be forced to run inside sandbox. 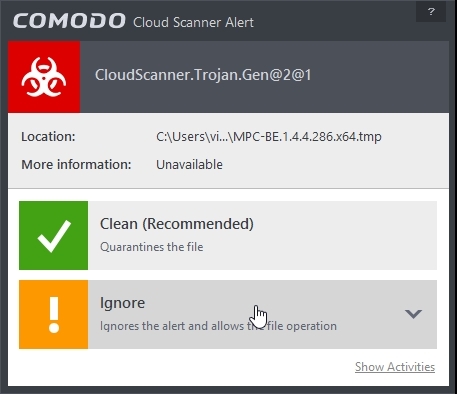 This unrecognized application can be a good application or it can be malware which can harm the computer. Malware detection rate is good and is based on cloud. 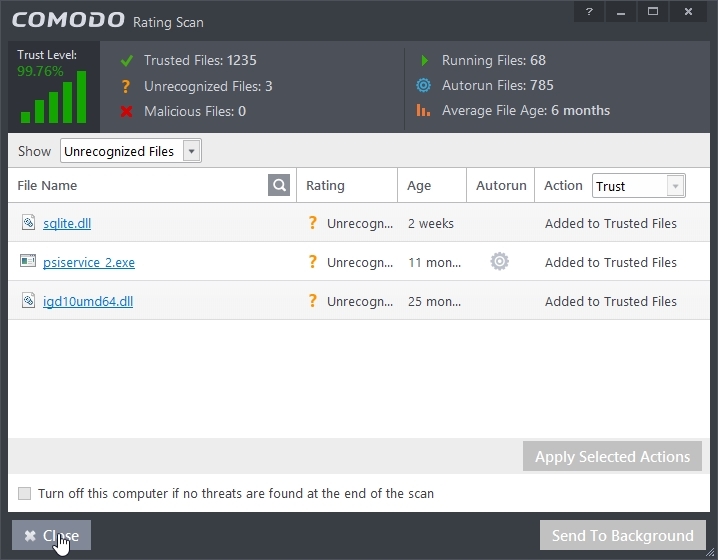 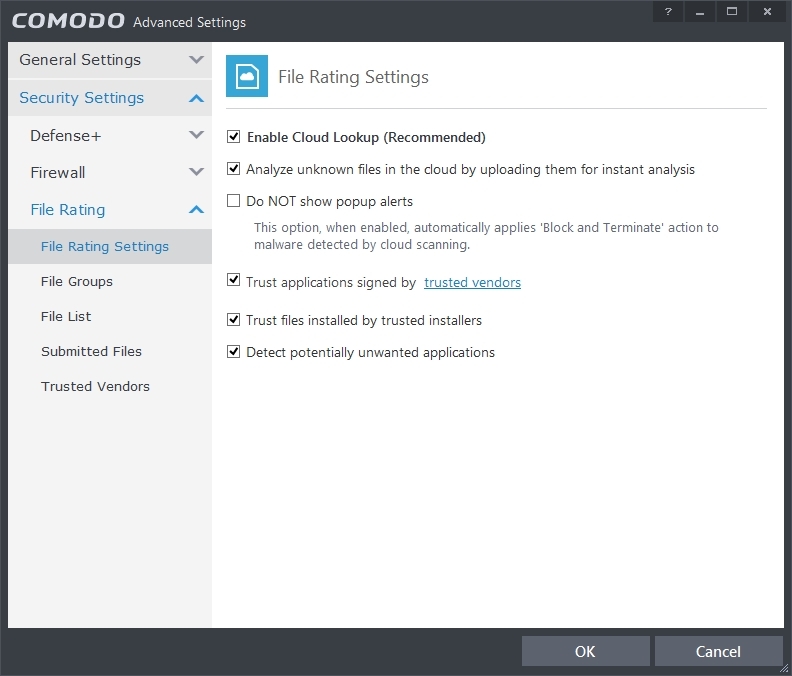 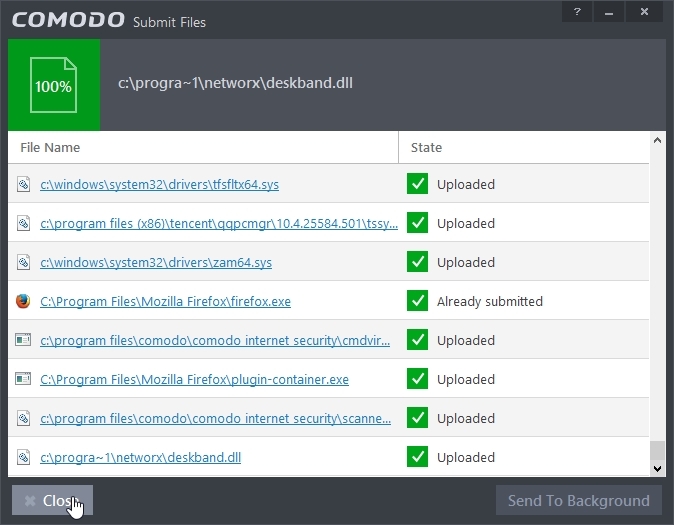 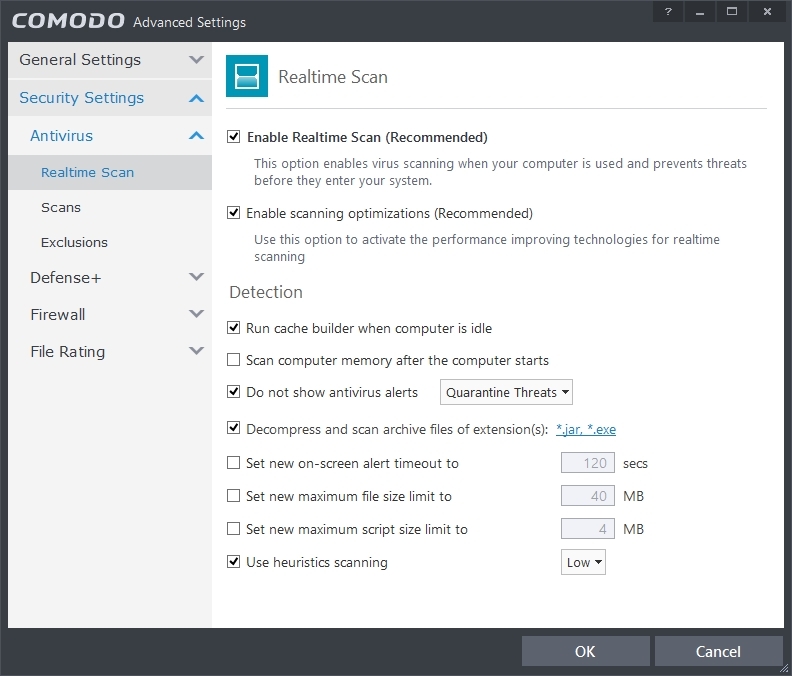 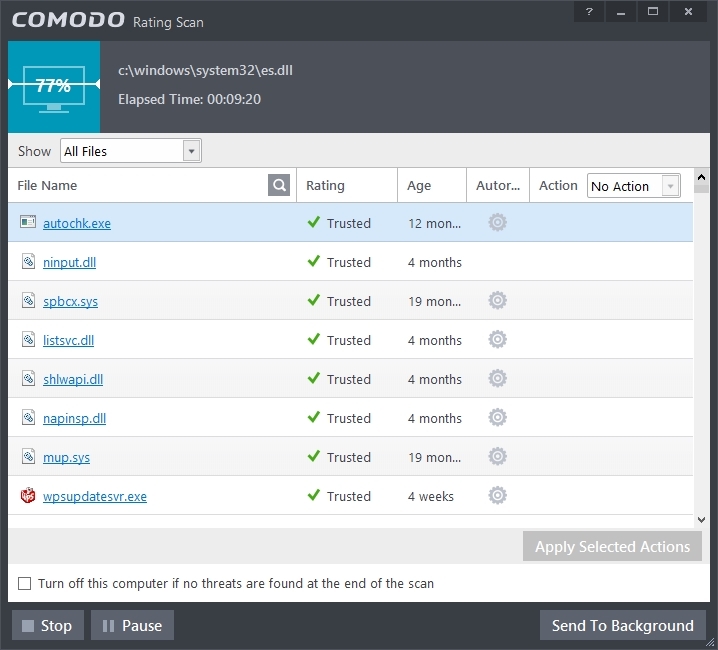 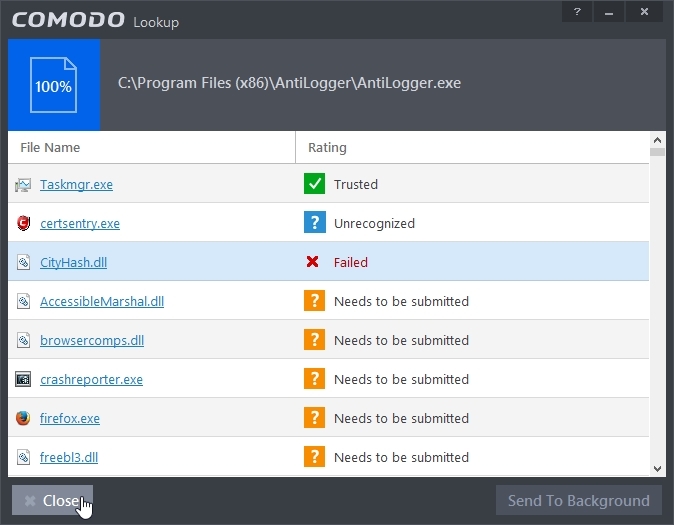 When you run an application Comodo will check if its malware or not using cloud based detection. 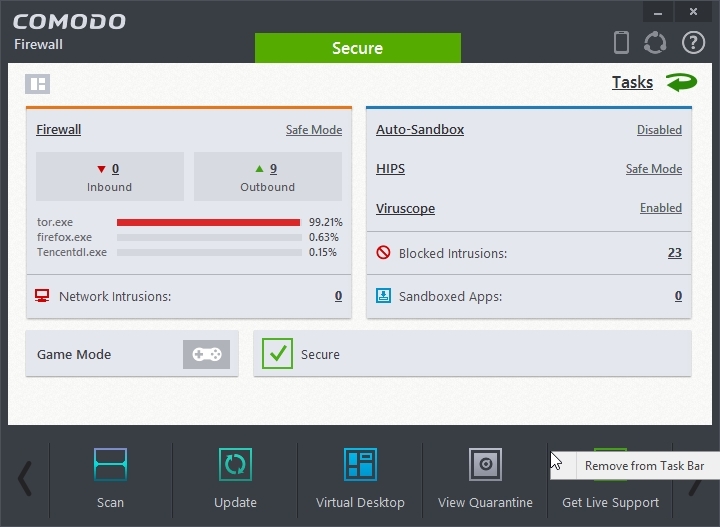 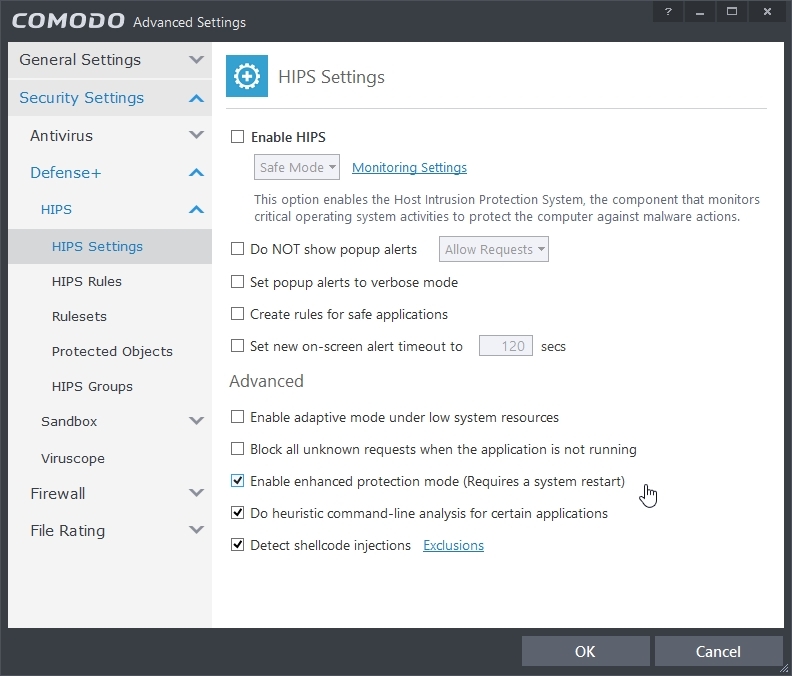 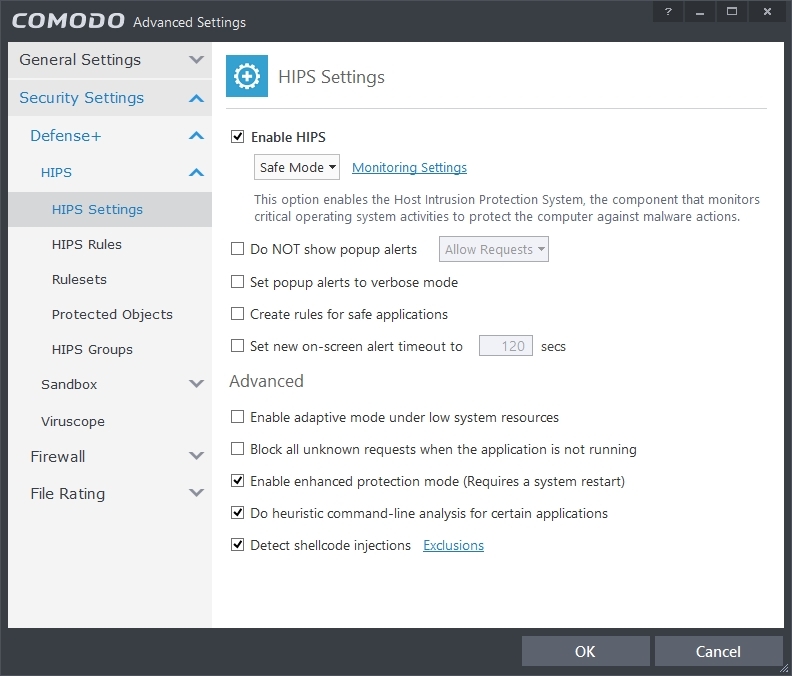 Protection from unknown malware is based on HIPS and Sandboxing of unknown applications. 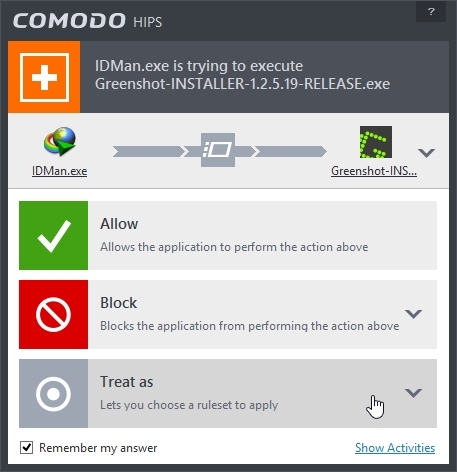 HIPS is heavily user dependent. 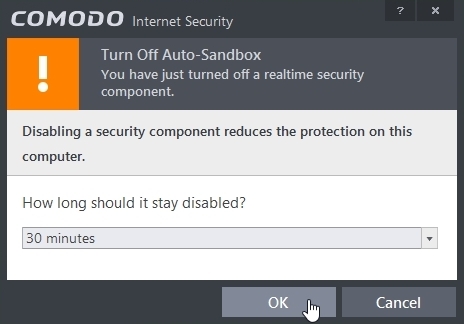 So be careful what option you choose. 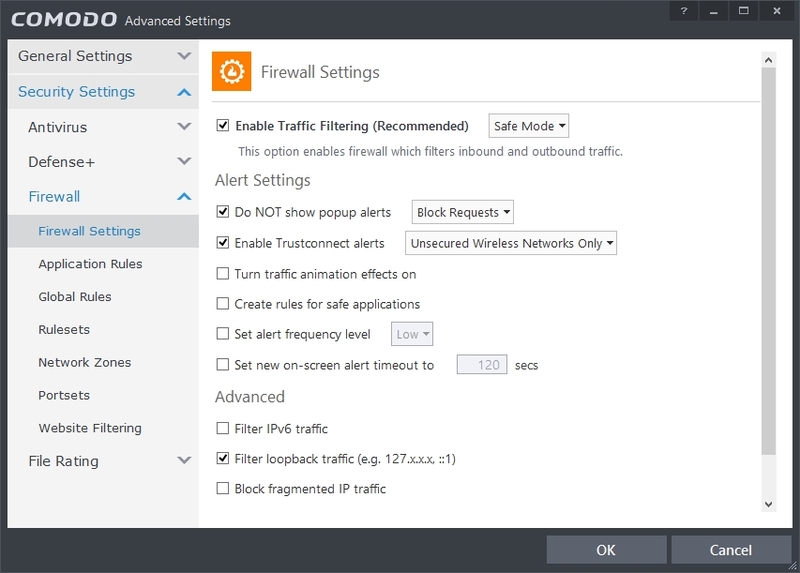 Firewall will ask user if an unknown application tries to connect to internet. 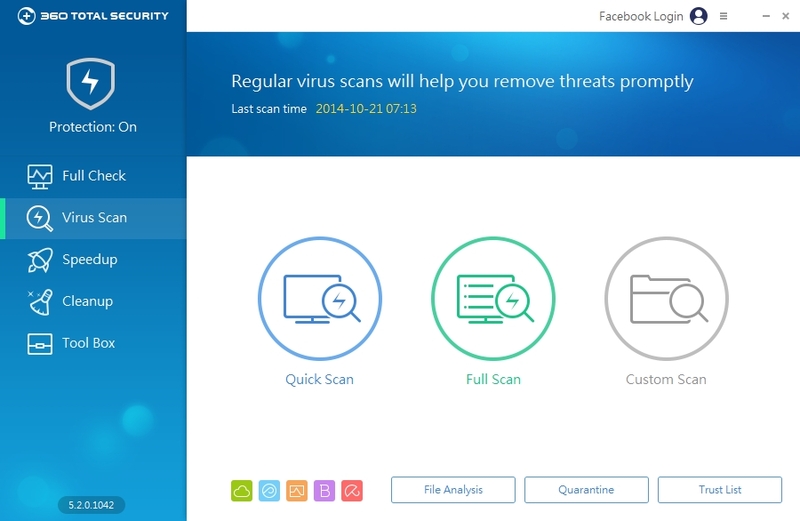 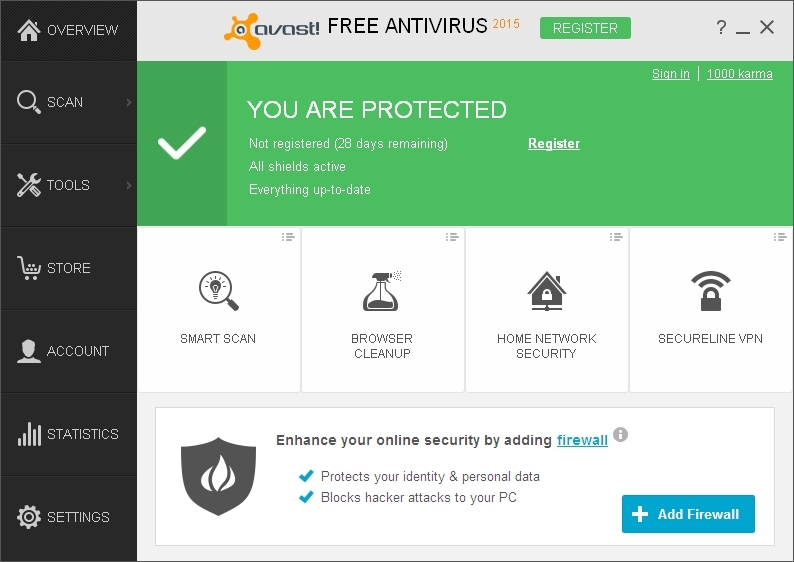 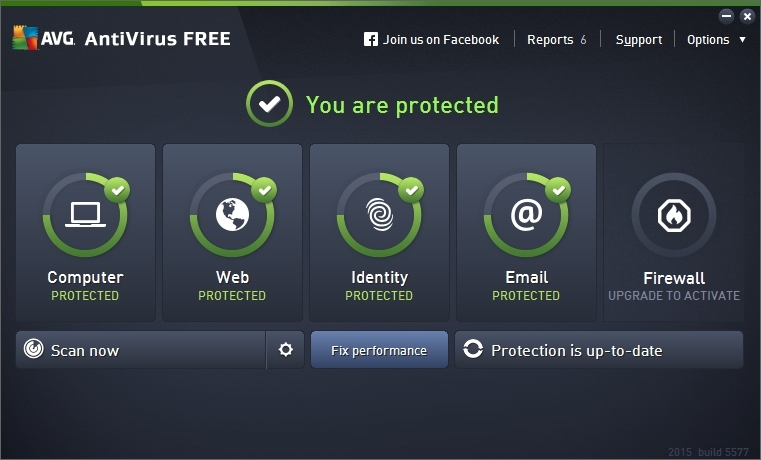 Stops viruses and malware before they access your computer…so it isn’t too late to stop them. 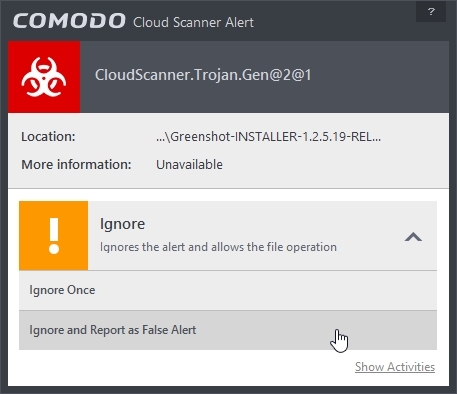 You may get this alert saying comodo has detected a threat. 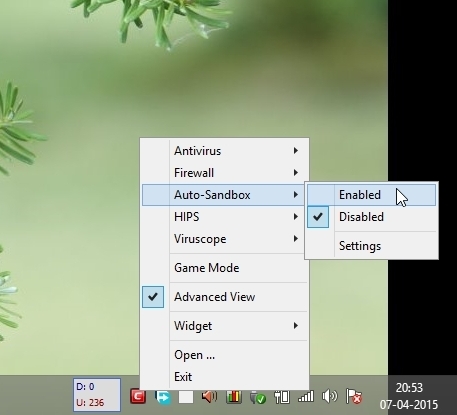 If you are using Auto-sandboxing then you can disable HIPS.